It's been a while since I shared a meal plan with you and I'm hoping that by doing one each week I can keep a better grip on our groceries. Having lots of food in over the Christmas period inspired me to make the most of our leftovers and I've frozen loads of leftover meat or prepared veggies I got cheap while they were on offer! I'll be writing a blog post about how I prepared them for the freezer but for now I'm sharing this weeks meal plan. I could have used more things we have on hand in the freezer but because we're keen to start eating healthier, I have included some healthier meals which will need groceries. I shall be trying to keep our spend this week to under £20 though as we really don't need that much. Next week will cost more as I won't have so many fresh salad and vegetables leftover. 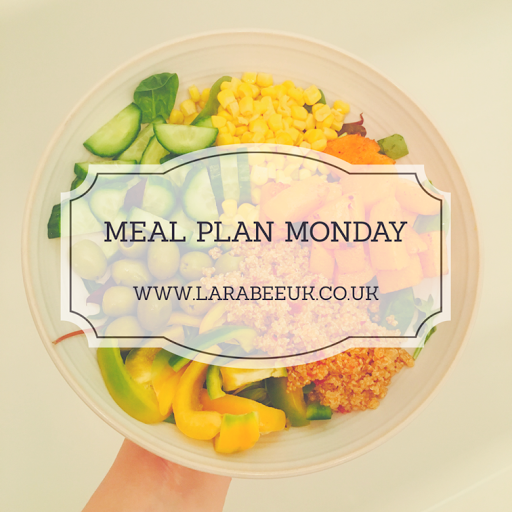 I have finally started meal planning or at least written one down so this inspired me loads.